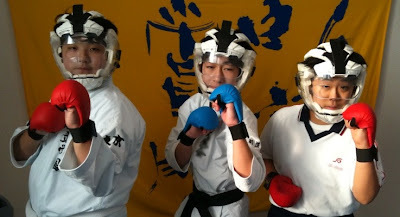 On Friday the junior high school boys had their first full free sparring practice together using all the protective equipment. I think they were surprised that they are capable of more than they realized. For example, their ability to see techniques coming at them was better than expected.